Claim 1 or 1/2 CPD/CLE point for attendance. LEAP Conveyancer provides educational webinars to help you understand the features of LEAP Conveyancer and the productivity benefits that support Conveyancers. 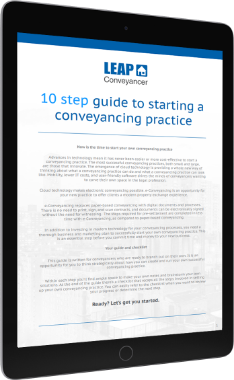 Our specialists share insights on how LEAP Conveyancer enhances practice management for conveyancing firms, with practical demonstrations of features to help your practice use LEAP Conveyancer to its full potential. Our webinars cover topics including: the new features of LEAP Conveyancer, how to use the LEAP Mobile App, and best practice for business management, including: business development, client communication, and reporting.